A field team game of ancient Gaelic origin, administered today by the Gaelic Athletic Association GAA and is one of the most popular sports played on the island of Ireland. 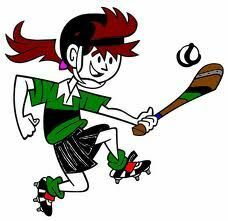 The game of Hurling has prehistoric origins and has been played in Ireland for at least 3,000 years years in Ireland with the first literary reference dating back to 1272 BC. 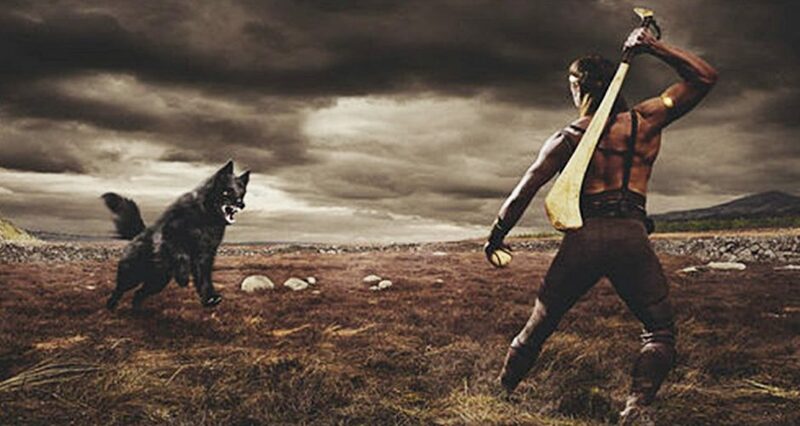 In historical texts the earliest reference to hurling appears to have been made about 1272 BC at the battle of Moytura, near Cong in County Mayo. The Firbolgs were rulers of Ireland and were protecting their place in a battle against the Tuatha de Danaan. While preparing for battle, the Firbolgs challenged the invaders to a hurling contest in which teams of 27-a-side took part. The Firbolgs won the contest but lost the battle. 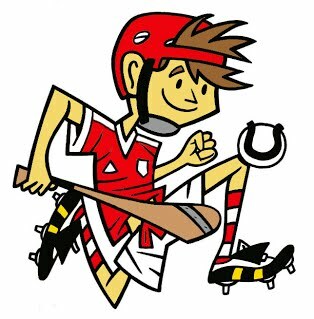 Even the legal system of the time, the Brehon Laws, took account of the existence and popularity of hurling. The Laws provided for compensation for injuries arising out of participation in the game of hurling. It was also a punishable crime under the Brehon Laws to deliberately strike another with a hurley. There are many references to the game of hurling in the centuries before the birth of Christ. 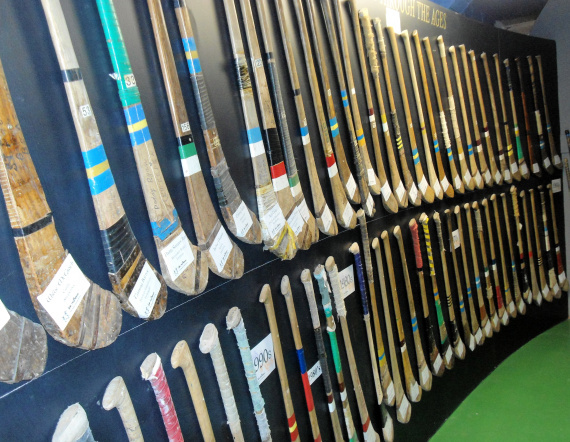 There is evidence that hurling was an essential part of life for young men preparing to be warriors. This gives rise to some of the legends of early Irish history which are still being taught to schoolchildren. 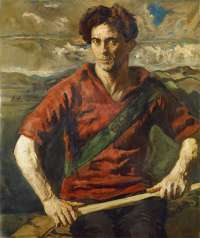 Hurling is often referenced in Irish myths and legends, the most famous of which has to be the early account found in the Táin Bo Cuailgne, a legendary tale from early Irish literature, which describes the exploits of the Ulster hero Cú Chullainn, (literally Hound of Cullen) Tales of his exploits are taught to this day. When he was only eight years old, Setanta left his home in Cooley to join his uncle King Conor MacNessa at his palace in Enihain Macha, where boys were taught the skills of hurling and of war. On the long journey he amused himself by hurling his bronze ball long distances and then throwing his hurley after it so that it struck the ball in mid-air. On arrival in Emhain Macha he took part in a game of hurling in which he single-han dedly defeated 150 boys. 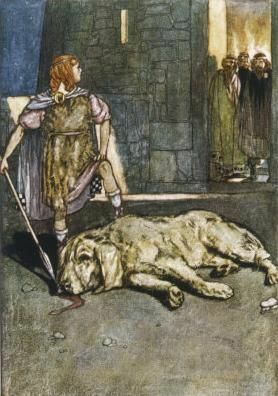 He earned the name Cüchulainn when he killed the savage hound owned by the blacksmith Cülann by hurling his ball into the hound’s throat. 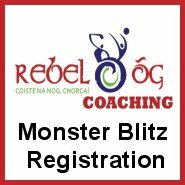 Such stories often portray Hurling as a form of martial training and proficiency on the Hurling field was equated with skill in battle. Throughout the countryside, Hurling thrived as a wild and often violent practice with few set rules. One 17th century account describes the game as being played on a plain about 200-300 yards long, with victory going to the first team to drive the ball through the goal of the opponent. 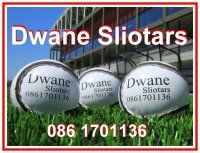 The game was outlawed in the 12th century after the occupation by the Normans, Hurling continues to feature in Later Medieval Gaelic Irish and English sources, with the latter generally disapproving. It is hard to believe it now but in the 14th century that bastion of the modern game, Killkenny, attempted to ban hurling. 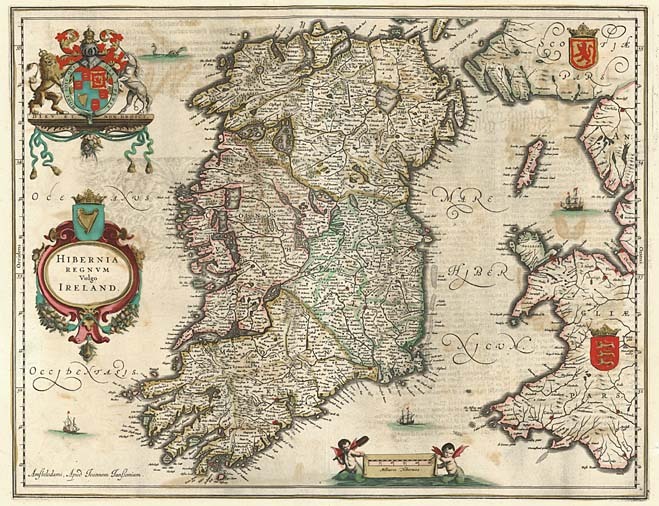 This occurred in 1367 when the infamous Statutes of Kilkenny declared ‘do not, henceforth, use the plays which men call horlings, with great sticks and a ball upon the ground, from which great evils and maims have arisen’. Despite threats of fines and imprisonment, this law failed miserably and the black-and-amber-clad men of Kilkenny would become one of hurling’s powerhouses. The ban had little effect and 200 years later, in the Statute of Galway of 1537, the playing of hurling was again banned. These statutes, which were enacted in 1527, stated that people should ‘At no time to use ne occupy ye hurling of ye litill balle with the hookie sticks or staves.’ Thankfully, as in Kilkenny these laws seem to have had little lasting effect. Indeed, the game appears to have been widely played in the latter middle ages. In the far north of the country, for example, a 15th century Galloglass’s grave slab from Co. Donegal clearly depicts a sword, hurley and sliotar. Similarly in the south of the country, hurling was so prevalent, that the Lord Chancellor William Gerrarde was forced to reprimand the English settlers of the Munster Plantation for playing the game in 1587. 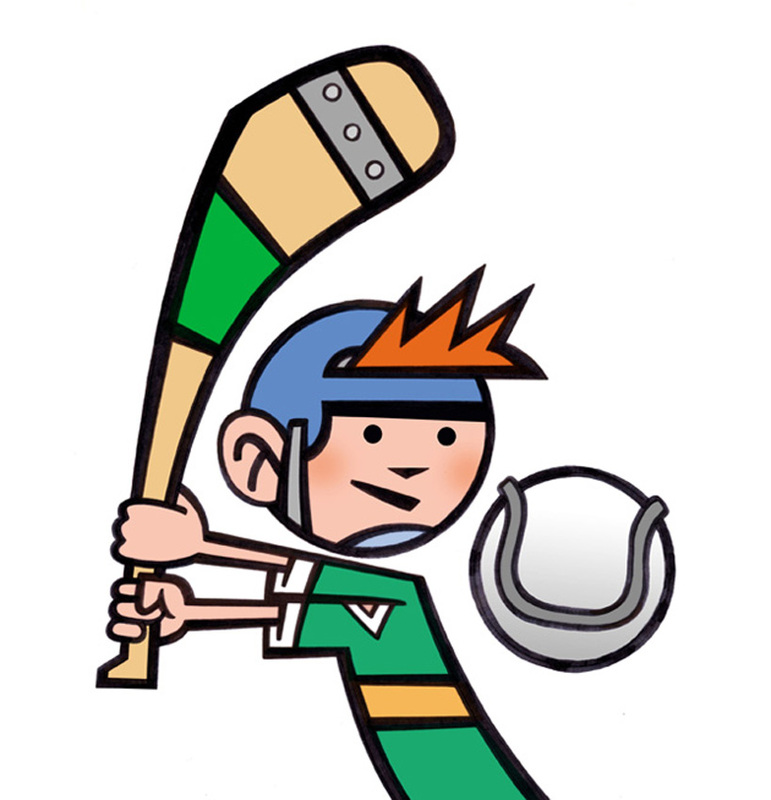 In the post-medieval period hurling continued to prosper, often under the patronage of the Anglo-Irish gentry. These matches drew large crowds and many colourful accounts of these games survive. For example, in 1792, ‘a hurling match took place in the Phoenix Park’, Dublin in front of a vast ‘concourse of spectators’, with ‘much agility and athletic contention, until the spectators forced into the playing ground’. Similarly in 1827, a game at Callan, Co. Kilkenny is described thus, ‘It was a good game. The sticks were being brandished like swords. Hurling is a war-like game. The west side won the first match and the east the second. You could hear the sticks striking the ball from one end of the Green to the other’ (diaries of Amhlaoibh Ó Súilleabháin). A growing sense of nationalism among the Irish people and the formation of the United Irishmen led to an increase in political tension. The landowners, generally English and Protestant began to fear large gatherings and withdrew support from the game. The Rising of 1798 deepened divisions and the Act of Union, which made Ireland part of the United Kingdom, also changed the way of life. Barony hurling, which was organised by landlords and comprised teams made up of their tenants, came to an end in the early part of the nineteenth century. In the 1880s Hurling would see a new revival in the name of Michael Cusack. Michael Cusack was born in 1847 in Carron, County Clare. He was born during one of the worst years of the famine, which is commonly known as ‘Black ’47. Michael would have grown up playing hurling, but he also played other sports through his teaching career including, handball, shot putt, rugby and cricket. When Michael Cusack moved to Dublin, in 1877, to open his academy preparing Irish students for the Civil Service examinations, sport throughout Ireland was the preserve of the middle and ascended classes. Within Cusack’s academy, sport was central with students who were encouraged to participate in rugby, cricket, rowing and weight-throwing. In the early 1880’s Cusack then turned his attentions to Irish indigenous sports. 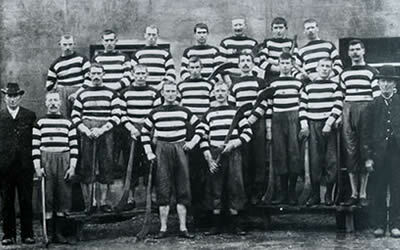 In 1882 he attended the first meeting of the Dublin Hurling Club, formed ‘for the purpose of taking steps to re-establish the national game of hurling’. 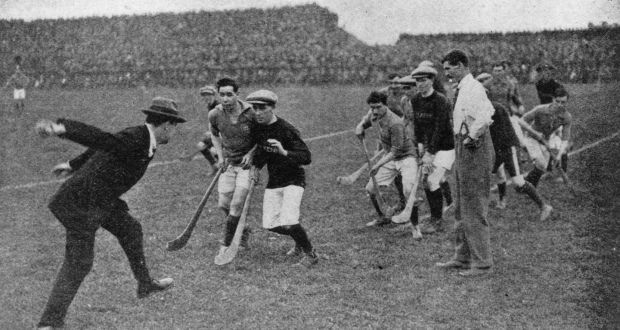 The weekly games of hurling, in the Phoenix Park, became so popular that, in 1883, Cusack had sufficient numbers to found ‘Cusack’s Academy Hurling Club’ which, in turn, led to the establishment of the Metropolitan Hurling Club. 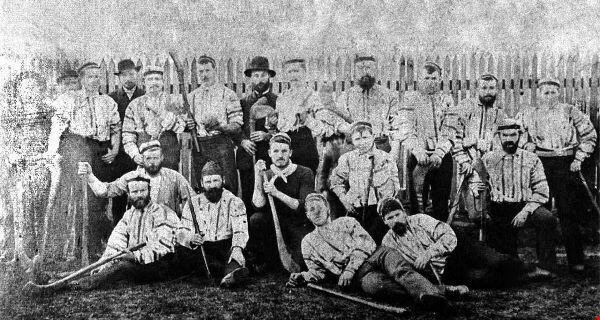 On Easter Monday 1884 the Metropolitans played Killiomor, in Galway. The game had to be stopped on numerous occasions as the two teams were playing to different rules. 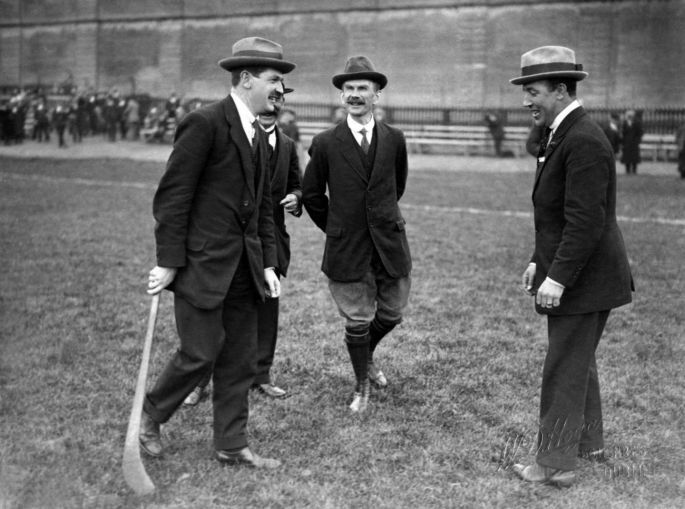 It was this clash of styles that convinced Cusack that not only did the rules of the games need to be standardised but that a body must be established to govern Irish sports. Cusack was also a journalist and he used the nationalist press of the day to further his cause for the creation of a body to organise and govern athletics in Ireland. Michael Cusack had realised the need for common regulations and this inspired much of his thinking with regard to the formation of the GAA. In order to preserve the game of Hurling, Cusack had begun writing about its revival in 1882 in a newspaper The Illustrated Sporting and Dramatic News and in 1884 the GAA was founded to restore the Gaelic pastimes of old. On October 11 1884 an article, written by Cusack, called ‘A word about Irish Athletics’ appeared in the United Ireland and The Irishman. These articles were supported a week later by a letter from Maurice Davin, one of three Tipperary brothers, who had dominated athletics for over a decade and who gave his full support to the October 11 articles. A week later Cusack submitted a signed letter to both papers announcing that a meeting would take place in Hayes’s Commercial Hotel, Thurles on November 1 1884. On this historic date Cusack convened the first meeting of the ‘Gaelic Athletic Association for the Preservation and Cultivation of national Pastimes’. Maurice Davin was elected President, Cusack, Wyse-Power and McKay were elected Secretaries and it was agreed that Archbishop Croke, Charles Stewart Parnell and Michael Davitt would be asked to become Patrons. Today the GAA is the biggest amateur sporting association in the world with over 2,500 clubs with over 800 of these clubs outside of Ireland. 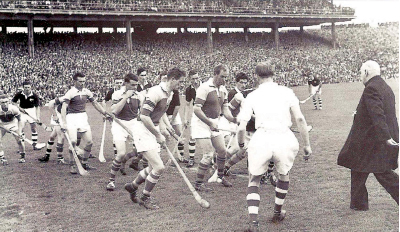 The game of hurling today is known as the oldest,fastest and the most skillful field game in the world.